Deliciously soft apple cinnamon cookies. 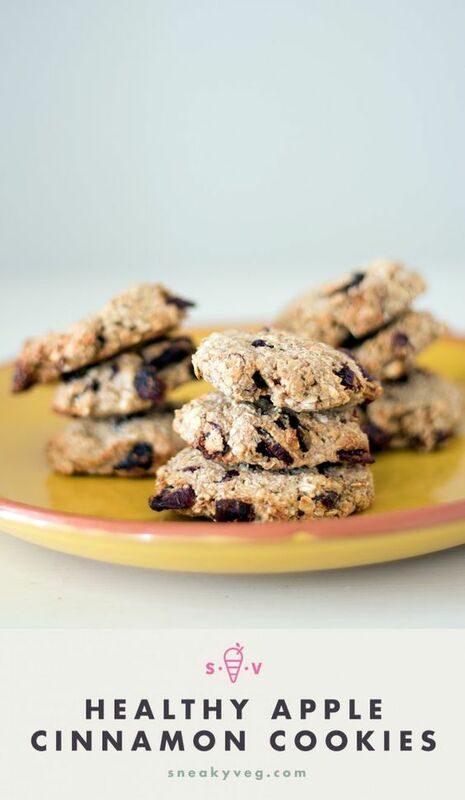 These refined sugar free cookies take minutes to prepare and will disappear fast when you serve them to your kids! Pre-heat the oven to 180°C (fan)/200°C/gas mark 6. Line a baking tray with greaseproof paper. Place all the ingredients in a mixing bowl and stir until well combined. Use your hands if necessary to ensure it's well mixed. Using your hands roll the mixture into 10 small balls, place on the baking tray and use your hands to flatten them into cookie shapes. Bake for 12-15 minutes until just turning golden brown. Allow to cool on a wire rack and store in an airtight container for 2-3 days. Can be frozen.